Want to Start a Squadron but don't have enough people? Thread: Want to Start a Squadron but don't have enough people? So you've looked around our Site, but your favourite Squadron or Aircraft isn't represented... you think "I know I'll apply to start a new Squadron"... but then it dawns on you... you don't have the three Pilots needed to start a new Squadron! We have now introduced a Proposed Squadrons feature. This feature means you can Apply to start a new Squadron. The Staff will review your application and as long as we are happy we place your Squadron in this Proposed Squadrons Forum. This forum is available both publicly and to our Members so it allows everyone to see your Squadron idea and if there is sufficient interest - we can get you started! 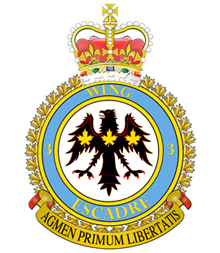 Potential new Members can then apply for the proposed Squadron and current Members can express their interest in moving to it. Once the Sqn reaches its required 3 Pilots it then becomes a fully fledged addition to our team. If after 3 months, the Squadron does not grow in size, it will be closed, and you will be invited to join an existing Squadron. While your waiting for the Applications to fly in to join your shiny new Squadron you are free to join and fly with any of our other established Squadrons if you wish. We will simply transfer you over once the new Squadron is active! So what are you waiting for get your Squadron idea in now!